In today’s disposable world, everything we depend on electronically these days, from cell phones to computer monitors, is on the fast track to obsolescence from the minute we turn it on. And, once the next best thing comes along, you can’t just throw yesterday’s technology in the trash, because in Wisconsin and Illinois it’s against the law. 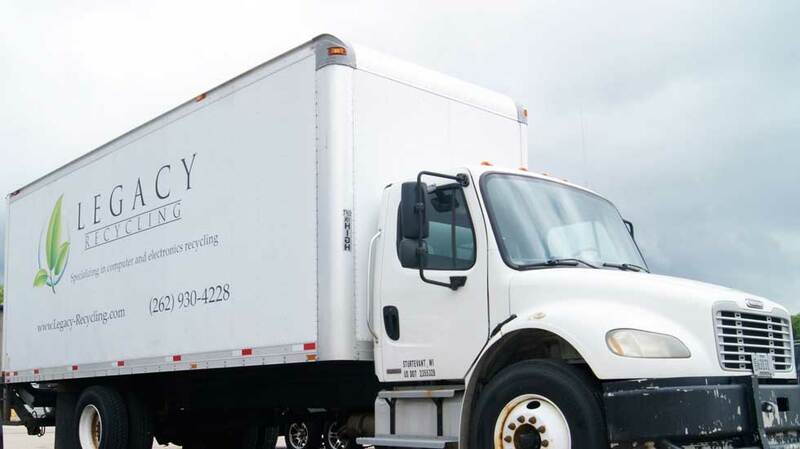 Whether you’re recycling 500 network servers or just your ancient TV, Legacy Recycling is your affordable, one step solution to electronics recycling in Southeastern Wisconsin and Northern Illinois. Just make one call or go online to schedule a convenient pick up at your company. Our professional and courteous staff comes prepared with all the tools and equipment they need to handle any item you need removed. They will come directly to your office, or warehouse loading dock and load up all your electronics to be recycled leaving you with a clean space.